The premises of the NAGOMI-YONEYA flagship shop include the site of the first Wisdom King statue to be relocated to Narita. This site marks the beginning of NAGOMI-YONEYA and is carefully preserved as holy ground. Please feel free to use this unique location to relax in its peaceful surrounds after your visit to the Naritasan Temple. 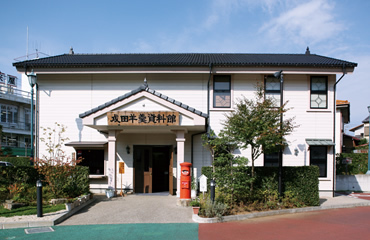 NAGOMI-YONEYA was established in 1899. The Narita Yokan Archives Museum presents exhibits that illustrate the long history of NAGOMI-YONEYA and the origins of Yokan. 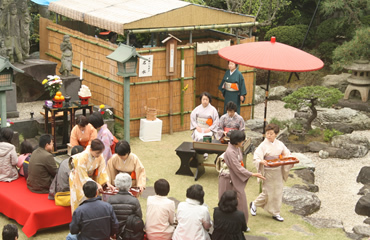 Here, you can enjoy the many exhibits such as nostalgic Yokan packages and draw fortune slips containing Yokan. 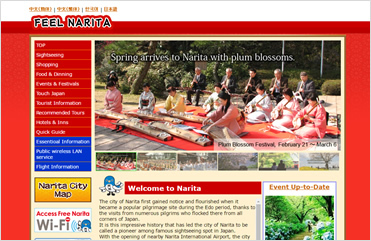 FEEL Narita is the official site of the Narita City Tourism Association. Please check here to find out more about sightseeing in Narita.